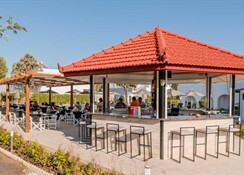 Belmare is a 2* hotel, located in the beautiful area Pefkos just 200m from the beach and about 1.5Km away from the village of Lardos. The hotel offers simple and comfortable rooms equipped with balcony or terrace, bath and Air Condition. Guests may enjoy a selection of hotel facilities, including a swimming pool with sunbeds and snack bar. 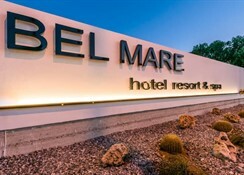 The Belmare Hotel is the ideal place for those seeking a relaxing getaway. The hotel was clean, the staff were friendly the food was OK. The location was great not too crowded and close to Lindos. One thing I didn’t like was their coffee and tea and even some alcoholic drinks because they were using tab water to make it and it was horrible because their water was undrinkable, it was oily,sweet it just didn’t taste right.